Hey this is Cally Buchanan from Meadowbrook Ward. 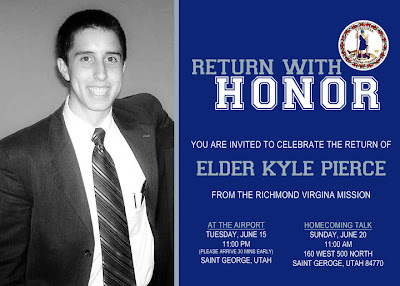 I missed saying bye to Elder Pierce! Please give him my email julyburd@yahoo.com I owe him some info! :) Welcome home Elder!